With heatwaves now predicted for the coming months, the long-overdue Great British Summer has finally arrived. Down here in Brighton the coast is an everyday part of our lives, and we can’t imagine going through a hot and busy summer’s day without a quick stroll along the shoreline. However, if your nearest bit of the coast is perhaps a little further than our ten-minute walk, it doesn’t mean you can’t enjoy the best of the beachside this summer. Year-on-year we’re seeing more and more of our customers embrace the Coastal trend in their homes during the summer. Characterised by the soft blues and crisp whites of the seashore, it’s the perfect theme for your home during this time of year, and is surprisingly easy to achieve. Look out for rustic and worn accessories, glass bottles, jute rugs and driftwood finishes – such as those you can see in the room above. 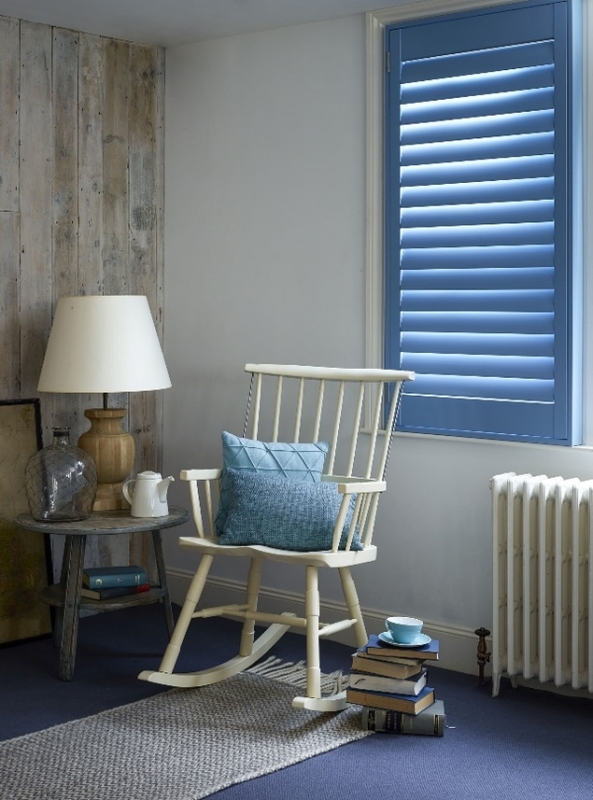 Of course, adding shutters in either a natural wood or pastel blue finish really sets the look apart. Also consider our colour-matching service which can help you find the exact nautical shade you are after to evoke that pretty British beachside look that none of us can get enough of.